SkyPostal wants to provide its clients with a consistent, secure and reliable international shipping and delivery service of the highest standards through the use of innovative logistics solutions and state-of-the-art technology. By streamlining complex processes and maximizing provider output, we strive to help our partners expand into Latin America where they can gain access to new audiences, all the while providing their customers with the same level of service their U.S. customers expect. Albert P. Hernandez began his career in 1964 as a delivery boy for Choice Messenger Service in New York City. 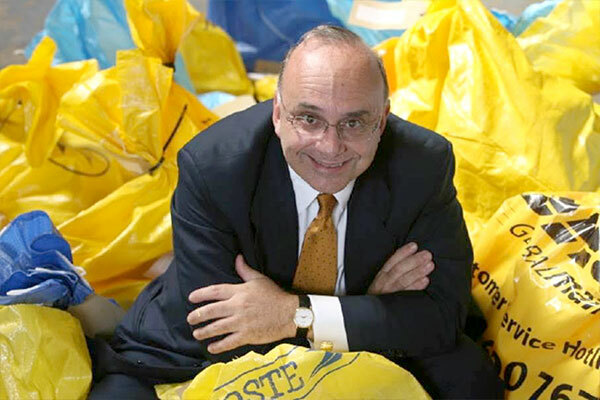 Quickly moving up the ranks within Choice, in 1970, he started the Air Courier division and two years later started the company’s international division focusing on Latin America. In 1983, he and an investor group bought the courier division and merged with Sky Courier Network in Virginia. In 1988, Sky Courier Network was sold to Airborne, but not including the network of representatives Albert had found and cultivated through the years. It was with that network of top notch local representation throughout Latin America that he created SkyNet Worldwide Express in Miami. Since then that network has developed into a world class collection of the finest customs and delivery partners in over 120 countries around the world. Albert’s son A.J., after a brief baseball career with the California Angels, graduated from college and began to work for the business. He was charged with developing a new service, to be called SkyBox. This service offered clients in Latin America an address in the U.S. in which they could receive mail and merchandise as if they lived in the U.S. By 1996, the SkyBox business was doing over $1 million a year and it was spun off into a separate company and eventually sold to LanChile. In 2001, the Hernandez’ created SkyPostal to capitalize on the need for improved and efficient cross border mail and parcel services to all countries in Latin America, the Caribbean and Mexico from the United States and Europe. Their goal was to create a new standard for time-defined delivery of mail and parcels in the Americas. Today Skypostal is the largest private mail and parcel delivery network in Latin America serving European postal administrations, major publishers, the world’s largest e-tailers, international shippers and financial institutions who require reliable and secure delivery of their mail and parcels. If you want to offer your customers the closest thing to U.S. standards for service and delivery, in Latin America, there’s no one else to call but SkyPostal. We look forward to changing the way you send your business to Latin America. Is your inquiry regarding Parcels or Mail? What is your monthly mail volume to Latin America? What category best describes your business? Do you currently ship to Latin America? 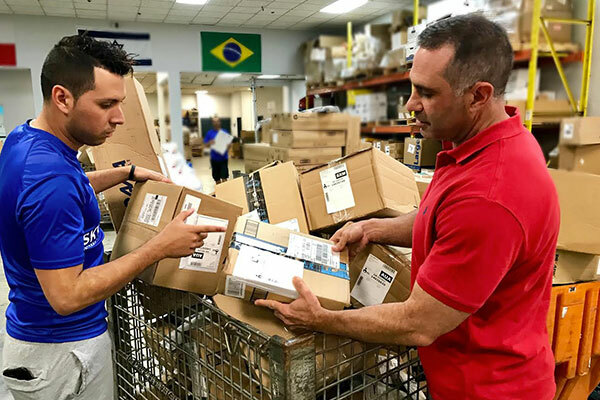 What is your monthly parcel volume to Latin America? Describe your current challenges or opportunities you see with this market and how Skypostal can help meet your needs. Select your preference for contact method(s). Thank you for your interest in SkyPostal. A team member will be in contact with you soon to discuss your needs. If you're interested in learning more about SkyPostal's solutions and how they can help with your international business, tell us a bit about your business by filling out the form below.